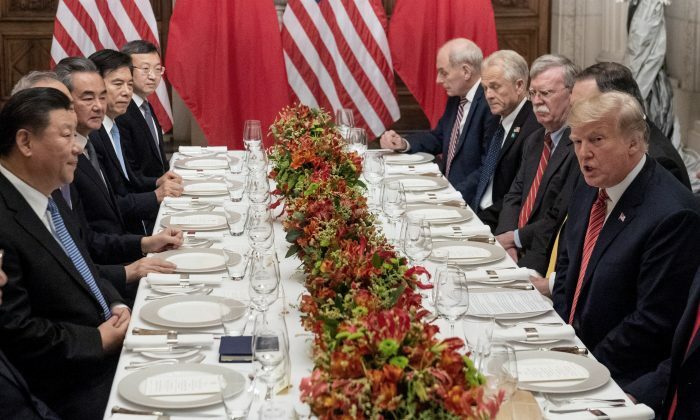 The key question following the recent meeting in Argentina between President Donald Trump and Chinese leader Xi Jinping is not just whether there will be a deal to lift tariffs and de-escalate the U.S.–China trade war but, also, what the terms will be. Chinese officials have long engaged in a propaganda campaign to portray themselves as the aggrieved party and Trump as the unfair, protectionist aggressor who is inappropriately intruding on China’s domestic policy prerogatives. But while it is to be expected that the Chinese would attempt to spin their egregious innovation mercantilism this way, it’s disappointing that many commentators and opinion leaders in the West seem to have fallen for the ruse. Case in point is a recent Washington Post op-ed by Lawrence Summers, former Treasury secretary in the Clinton administration, in which he suggested giving up on pressing China for systemic reforms and focusing instead on “feasible objectives” to address U.S. grievances. No, China’s economic and trade policies aren’t entirely for it to choose—not if it wants to remain in the WTO and enjoy the open market access that WTO membership confers. Joining the WTO requires following a set of rules that are designed to enable market-based trade. It doesn’t allow agreeing to such a system with one’s fingers crossed behind one’s back. There is a well-known joke in the business community and among China experts that when Chinese officials talk about “win-win” scenarios, they really mean China gets to win twice. China knows the practices in question—such as theft of U.S. intellectual property, compulsory joint ventures with forced technology transfers, and massive and unprecedented subsidies to state-picked industrial champions—are not win-win. They are win-lose: Chinese firms win, and foreign firms, including U.S. firms, lose. Be that as it may, Summers counsels there is nothing the United States or the rest of the world can do to stop China from becoming the largest economy on the planet. That’s true: China has a population of 1.4 billion—four times the U.S. population—and its economy is growing faster. But that isn’t the point and never has been. Summers and others imply that the Trump administration’s goal is to “hold down” the Chinese economy. That just plays into the Chinese government’s narrative that China is the victim here, and U.S. tariffs are just one more insult in a long list of examples of foreign imperial aggression. Finally, this is not a fight about the goals of China’s high-tech strategy, known as “Made in China 2025;” it is a fight about the means by which China goes about achieving its objectives. As the Information Technology and Innovation Foundation has pointed out, many nations have established national strategies to win in the next wave of innovation industries, including artificial intelligence. But with the exception of China, all are doing it the fair way—by investing in basic science, supporting skill development, encouraging government adoption of new technologies, ensuring widespread availability of data sets, spurring tech transfer from universities, and the like. Only China is willing to throw away the Marquess of Queensberry rules of fair competition and try to get ahead by illicit means like industrial spying. It’s time for China to start acting like a globally responsible trading partner. If it does, then the Chinese economy and the world economy will be better off. Robert D. Atkinson is president of the Information Technology and Innovation Foundation (ITIF), the leading think tank for science and technology policy.